Track vehicles, assets and more in a single unified platform. The landscape is not trending towards change, change has already arrived. Mobile GPS tracking applications and wireless connectivity have become intertwined in the very fabric of global society. GPS tracking has become a critical component in government actions, public and private fleet strategies, law enforcement tactics, mobile workforce management, private investigations, personal protection and security, and offender monitoring programs. Serving a diverse global client-base, the IntelliMatics™ GPS Tracking System is uniquely designed and adaptable to virtually any tracking environment. Robust and fully customizable, IntelliMatics™ users can configure the system to suit their own individual needs. An à la carte menu of available streamed data allows EZ Riders clients to tailor-make the reports and alerts engines. Users can create their own sub-accounts, can manually ping and reboot wireless devices, change tracking intervals over-the-air, and can personally modify passwords. All of this flexibility, and more, is at the fingertips of our users. It’s the EZ Riders difference. Any time, any place…EZ Riders GPS. Our Geo-Trax products consist of an in-vehicle GPS fleet tracking device, transmitting valuable fleet-related data in real-time, through existing wireless carrier networks. Our back-end servers receive this data, translate it into an easily readable format for our clients, and then relay it to our IntelliMatics™ GPS Tracking System for viewing by the end-user. All of this happens in a matter of seconds. The IntelliMatics™ System is 100% web-based, with no software to install whatsoever. The only requirement for access is an Internet-connected PC, or iOS or Android device. The system provides a full-range of advanced features and capabilities. PTO monitoring is available, Garmin device integration, starter enable/disable, door lock/unlock, manual pinging of devices and more, are all available to clients. How do you currently monitor your remote assets, equipment, or machinery? Where is your equipment right now? Has it been relocated to the new job site yet? If so, when? Has anything been forgotten or left behind?Can the billing-cycle begin for your new account? Is any preventative maintenance scheduled to occur soon? When your assets are deployed remotely, the only recourse is to rely on incomplete information to make your business decisions. And that can be a recipe for disaster! Completely customizable, the IntelliMatics™ System provides a full-range of advanced information, control, and capabilities. Location & status, temperature monitoring, engine condition, low battery, main battery disconnect, maintenance reminders and more, are all at the fingertips of our clients. 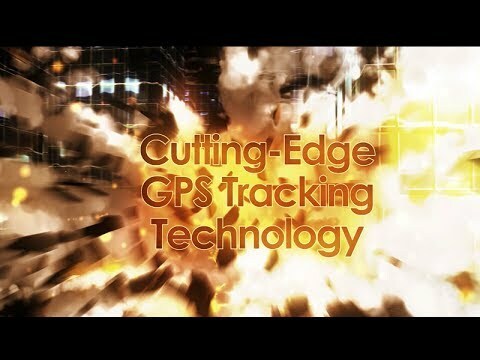 In today’s fast-paced and increasingly mobile world, wireless GPS tracking is a game-changer. The technology has proven invaluable in reacting to an evolving landscape. Concerned parents want to protect their children. Employers would like to manage their mobile workforce. Law enforcement seeks new tactics in vehicle surveillance. Valuable property and assets are in need of protection. Private investigators need to gather evidence of infidelity. From child tracking to covert vehicle surveillance, there is constant pressure for solutions that deliver accurate and reliable location information. The IntelliMatics™ System has risen to meet these challenges. We bridge the gap between you and the individual by putting you in the driver’s seat. Any time, any place…EZ Riders GPS.